Professor Halir Ashford. Historian, Explorer and Adventurer. One of the favourite characters I’ve written so far. And a character who really shouldn’t have existed beyond a minor mention. It happens from time to time; characters take on a life of their own and demand a bigger say in things. His story starts back with a novel I was planning (but never got around to starting). I needed someone to introduce the main character (Heric ‘Harry’ Ban, likewise a character that came about unexpectedly) to the adventure, and so I came up with Halir. he had been a friend of Harry’s father back during a war and was now a professor and historian. The novel was abandoned and the character would have been forgotten except for another novel I started sometime later, Winter Wolves. Winter Wolves was my first serious effort at plotting and then writing a novel, and was designed to be a showcase for the setting and for Harry Ban. I even managed to complete a round draft. There was a need for a character who would draw Harry into events, and for that I went back to Halir and brought him along. Though I finished the rough draft, I never got around to fleshing it out, instead, as is my want, I moved onto other projects and suddenly Halir took over somewhat. 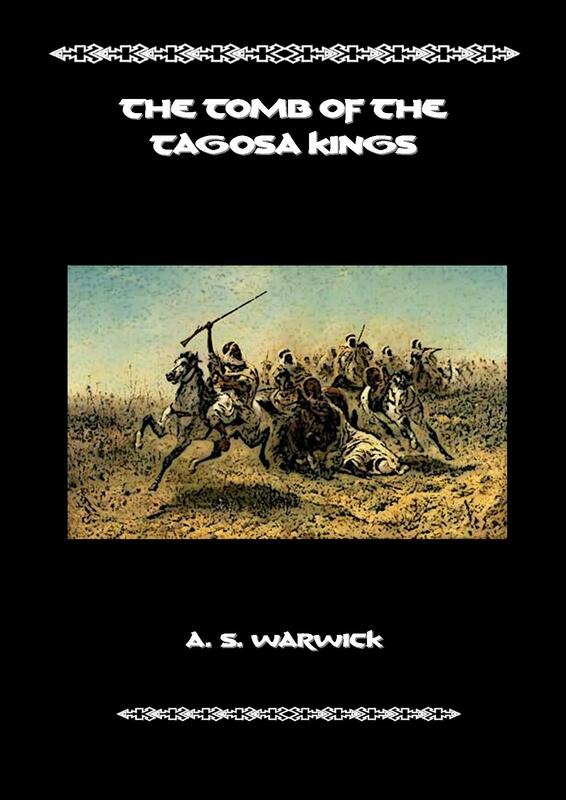 He got himself two lengthy short stories, Gifts and Sacrifices, and The Tomb of the Tagosa Kings, and then he got himself a full novel in which to star – Tears of the Mountain – which is the first novel I’ve completely properly. It won’t be the last that Professor Halir is seen either. I’m not going to look back at my resolutions for last year – I know that most of them never got done, which is why I normally don’t bother. It is a good time, however, to look back over 2010 and to look forward to 2011. 2010 was a year of missed opportunities, both writing and otherwise. While I did actually complete my first proper, full length novel, my writing output was way down on what it should have been and that single novel should have been more. Moreover, it is still sitting there gathering dust and hasn’t been used yet, something that needs to be rectified. 2011 needs to see an improvement. I’m not going to make any resolutions – because they will just be broken – but I want to see a lot more writing done, both novels and short stories. I’ve got all these ideas floating around not being used. I’m going to go over the Pure Escapism page and stories and clean it up, make it look more professional. That includes new and improved covers. I have a few that I’ve worked on and that I need to upgrade the rest to that level. I’d like to try and add at least one new short story to the collection a month – more of the time permits – and of course to try and exchange the reader base. 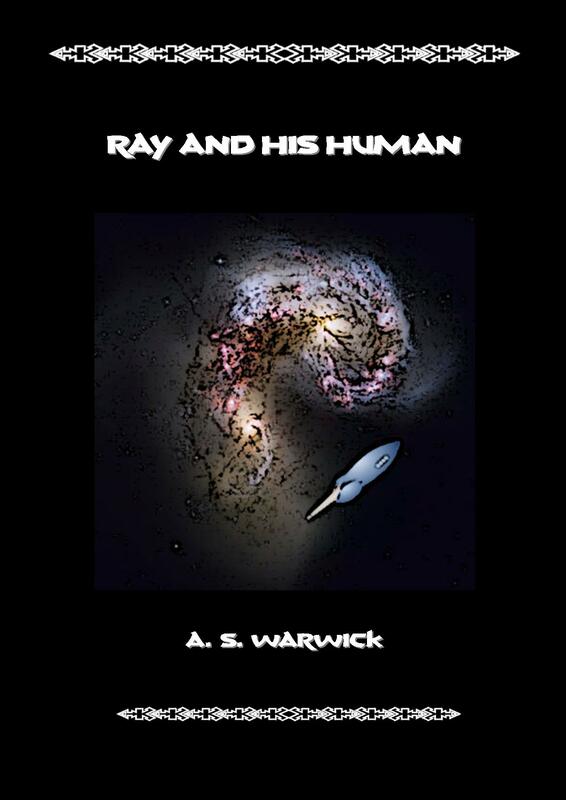 Cleaning up and polishing the pages here and at Smashwords, plus starting to join up on various forums should help with that a bit. The big one is of course the novels. I’ve got one complete and two half complete. They need to get completed, polished and made ready as soon as I can. And then I have to make a big decision. Do I try for an agent and publisher, a long and laborious process that has no guarantees of any success? Or do I try and go independent? There is no success guaranteed there either but there will at least be something to show for it, which is more than would happen if I ended up with no agent. It would require a whole new skillset – that of self marketting – but there have been a number of successes to show it is not impossible. Dragons are a ubiquitous element of fantasy. They are one of the first things most people would think about when the word fantasy is said to them and it is quicker to list fantasy series without dragons than it is to list those with them in it. Dragons are also rather varied, with many authors putting their own take on it. TVTropes says it best in their Our Dragons Are Different entry – this trope deals with big (maybe) strong (possibly) scaly (sometimes) flying (perhaps) fire-breathing (at times) lizard (usually) monsters (traditionally). Normally I’m one to buck typical fantasy elements but I have to admit that there are dragons in my setting, though as with others I’ve put my own spin on them. Dragons in Sharael are vast and powerful and ancient. And seldom seen. They also don’t have to deal with knights, their traditional foe, as knights never have (and never will) exist in my world. They also appear a little different than your standard dragons. 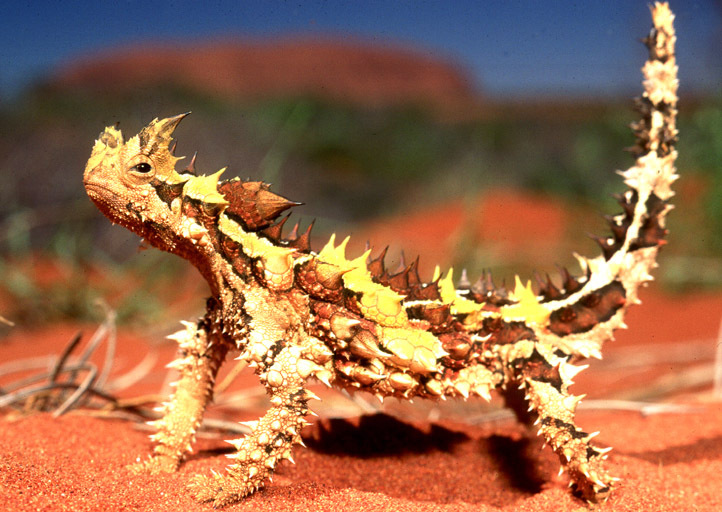 While the fit the large scaly reptilian clause, they are based on a lizard native to Australia – the Thorny Devil, also sometimes called the Thorny Dragon. As the name suggested they are covered in thorns and coloured in shades that help camouflage them in the desert. This is what one looks like. Imagine one of them much, much larger and with wings and you have an idea what they look like. If only I was a decent artist I’d give one a go…. Of late I’ve been making good progress with the rewrite of Tears of the Mountain, averaging two to three thousand words a day. Until last week, when I got sick. Nothing terribly major, just the latest head cold that was going around. Unfortunately it stuffed my head up good and proper so that my brain decided it was a good idea not to do any thinking and my work rate plummeted putting my schedule way behind. Even after recovering enough to get back to writing it took me a while to get towards being back to speed again. Writing for me is a bit like driving a car. Once you get out on the highway you cruise along smoothly and keeping up a good output isn’t that hard. However when you stop for whatever reason, you have to work to get back up to speed again. It did get me thinking about sickness though in stories, especially fantasy stories. It does crop up now and then but is not really nearly as prevalent as it should be in a pseudo-medieval setting. Health was not all that good back then – medicine was as much superstition as anything. Plagues and diseases regularly swept through regions as things like causes and hygiene were unknown. Sailors got scurvy. Soldiers were more likely to die of diseases and sickness than in battle. Modern problems like obesity weren’t as common, being more restricted to the nobility who did have plenty to eat. Of course the standard answer is that ‘magic did it’ in response to health issues. There would have to be a lot of magic healers on hand to deal with everything though, and it is more likely only the nobility would see them. It does bare thinking about in terms of my world, that more people should get sick in the stories. As some may have noticed, I haven’t been posting as much on here of late – though that isn’t due to lack of want, just lack of time and topics. But I do have news, of a type. A few weeks back I went through an old novel I had started quite a long while back now – Tears of the Mountain – looking for some information that was in it I wanted for another story. In doing so I was surprised at just how much I had done. The synopsis/rough draft was around 44,000 words long and better than I remembered. Long story short, I returned to it. The rewrite is now at 55,000 words and still plenty to go. That is just the main plot, which has another 5-10,000 words left in it. Then I have to go and do the secondary plot and weave them together. All up I reckon come the end it’ll be 90,000 words long, which is a good length for a novel. Once the rewrite is done I can start on editing and polishing and then the long hunt for rejections, er an agent. Just a quick recap on what the story is about. It features Halir the explorer, adventurer and historian who features in Gifts and Sacrifices and also Tomb of the Tagosa Kings. It takes place about twenty years after the first and ten before the second and is one of my gunpowder fantasy stories. 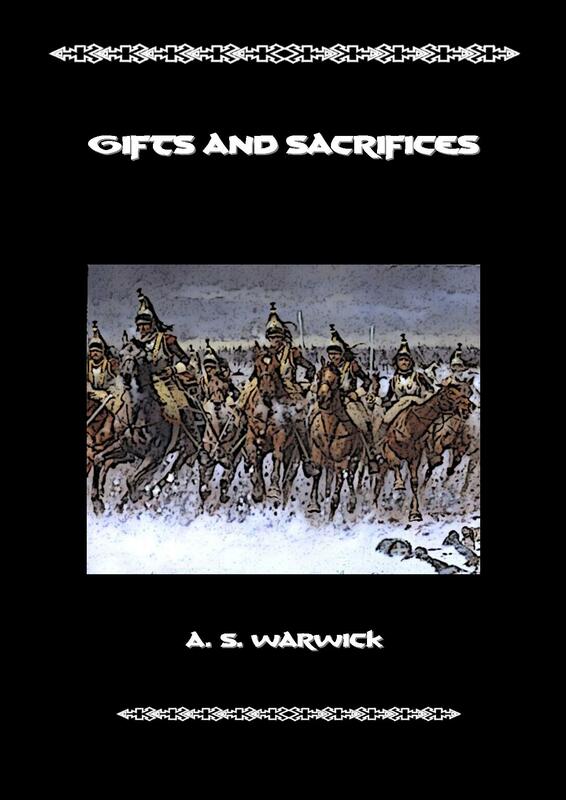 It features deserts, lost cities, a treasure hunt using an old map (or in this case an old journal), monsters, magic and a war. Here is the unedited, unpolished opening few paragraphs. The sheet of lightning flared bright, rending apart the night’s sky with its intense brilliance. For a split second it illuminated white the city that huddled around the sheltered bay, weathering the wild storm. Then the light was gone and it its wake came booming peals of thunder that rolled on and on through the night. The wild tempest that had raged through out the day and battered the city had eased as night had fallen, though constant drizzling rain was still being swept across the city, collecting in growing puddles along streets and rooftops. A breeze gusted, swirling the falling rain in billowing veils before it, splattering it across a cloaked man as he scampered on down a street. Droplets of water beaded across his hood and cloak, running down them in rivulets to fall to the already sodden ground. His sandalled feet and the lower portion of his baggy trousers which peeked out from beneath his cloak were already soaked through from having splashed through puddles of water. Another raucous crack of thunder rumbled across the rooftops overhead. For the cloaked man it carried within it the ominous overtones of the executioner’s drumbeats as they ushered their victims to their final fate. A shiver ran through the man, and not from the cold for despite the storm the night’s air was fairly mild. Worry frayed at nerves tightly strung, and in each shadow he half expected lurking danger. What he was undertaking he did not see as treason. Ho could it be, supporting the rightful prince? There were many others that would not share that view, and foremost amongst them was the current prince. He knew that if he were to be apprehended then it would not be the thunder he heard but the drums themselves. Making progress on the writing, which is good. The rewrite of Tears of the Mountain is at about 20,000 words now. Around a quarter of what I’m aiming for. Hopefully by the end of the month I’ll be close to completing the rewrite. Still also mucking about with ideas for the plot of Shadow Watch in preparation for NaNoWriMo. Some more ideas clicked and I rearranged the plot a bit as well to fit them in. As I was working on ideas, some of the background details of the nature of the universe took on more of a final shape – including some to do with the mist and shadows of the name of the blog. Of course details won’t be forthcoming until the story is written.